Dr. Ann Stowe is an Assistant Professor in the Department of Neurology & Neurotherapeutics at the University of Texas Southwestern Medical Center. She received her PhD in Molecular & Integrative Physiology from the University of Kansas, School of Medicine, following her Bachelor of Fine Arts in the History of Art, also from KU (Go Jayhawks!). She then went on to complete a postdoctoral fellowship at the Landon Center on Aging at Kansas University and was a Posdoctoral Scholar at Washington University in St. Louis prior to moving to Dallas. Ann is with us today to tell us about her journey through life and science. The Neurorepair Lab focuses on the investigation of mechanisms of injury and recovery following damage to the central nervous system (CNS), primarily following stroke and perinatal hypoxia. The combined research aims in this multi-investigator lab include excitotoxicity mechanisms in oligodendrocytes during white matter injury, anti-inflammatory mechanisms during endogenous neurovascular protection, and the role of exercise on prevention of injury and behavioral recovery. Ann uses molecular, surgical and behavioral techniques, including flow cytometry, confocal immunohistochemistry, exercise training, hypoxic exposure, and delivery of neurotherapeutics. The Neurorepair Lab also hopes to start additional in vitro studies in the near future. 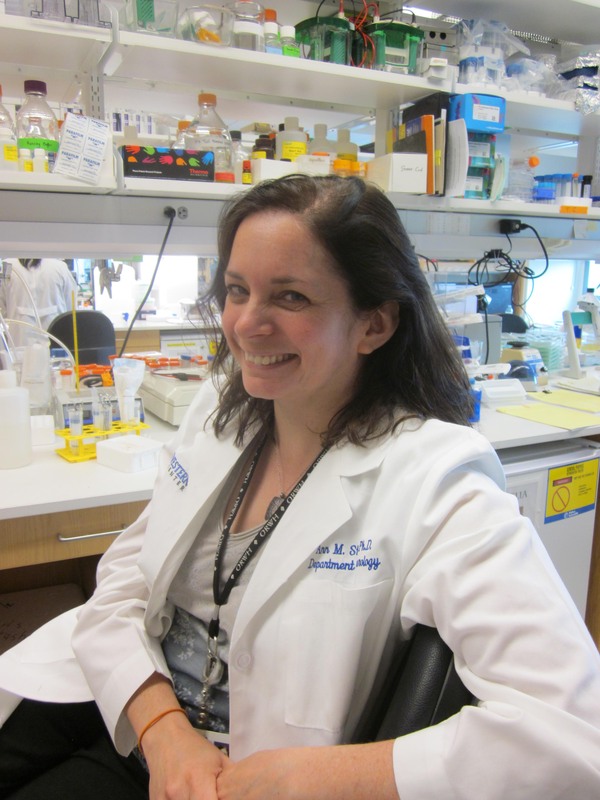 Ann was recently awarded the American Heart Association’s National Scientist Development grant for her work on the immune system after stroke.